OTTAWA - The head of Canada's telecommunications regulator is joining the list of agency bosses who've lost their jobs after butting heads with the Harper government. CRTC Chairman Konrad von Finckenstein's five-year term expires in January, and he confirmed to his staff Tuesday he won't be returning. Though appointed by Prime Minister Stephen Harper in 2007, the two have clashed several times over the last five years and there was growing concern in Tory circles that von Finckenstein was standing in their way. The majority Tories are expected to relax restrictions on foreign ownership of telecom companies, something Von Finckenstein has already resisted. 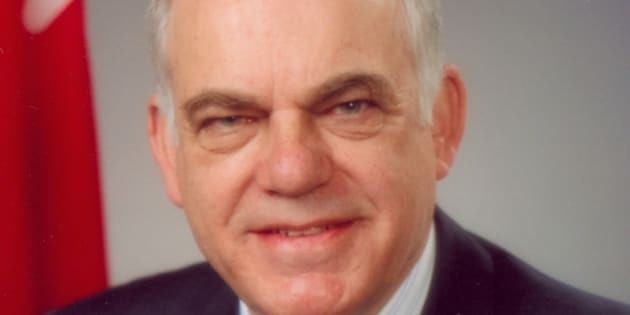 The former judge presided over the Canadian Radio-television and Telecommunications Commission during a time of rapidly evolving consumer technology that has put cellphones in the hands of most consumers, made the Internet mainstream and wireless networks common. Last spring, a feud erupted over a CRTC decision on how Internet companies bill their subscribers. Known as "usage-based billing," it would have allowed wholesalers such as Bell and Rogers to charge smaller resellers based on how much data they use. The decision sparked a social media campaign that even had then-industry minister Tony Clement weighing in online. Von Finckenstein backed down and ordered a review. A spokesman for Heritage Minister James Moore said von Finckenstein will serve the remainder of his term and a process for selecting his replacement will be announced shortly. "We thank Mr. von Finckenstein for his service as chair of the CRTC," James Maunder wrote in an email. Over the last five years, the Harper government has declined to renew the mandate of ombudsmen and chairmen of arm's-length agencies who clashed with policy approaches. Pat Stogran, the former veterans' ombudsman, was dumped after sounding an alarm about the treatment of soldiers. The ombudsman for victims of crimes and the head of the nuclear safety commission were also unceremoniously let go. Von Finckenstein was a staunch defender of the independence of the CRTC. He fired back at a report last year suggesting he was under pressure from the Prime Minister's Office to approve a broadcasting licence for a new television channel whose vice-president was a former PMO staffer. "I would like to categorically state that no one at any level of government has approached me about the Sun TV application, the appointment of the CRTC's vice-chair of broadcasting, or my own mandate," he wrote in a letter published in the Globe and Mail. The appointment of the regulator's vice-chair for broadcasting had raised eyebrows when the Tories announced their candidate was Tom Pentefountas, a former president of Quebec's conservative ADQ party and friend of Dimitri Soudas, the former director of communications for Harper. Pentefountas was accused of lacking qualifications, other than political connections, for the job. The Tories dismissed the criticism, saying he'd bring an outside perspective to the 13-member board. But the Opposition is worried that whoever replaces von Finckenstein will be cut from similar cloth. Heritage critic Charlie Angus said he may have often disagreed with the outgoing chairman but at least he was independent. "I'm sending a message to Stephen Harper: in your attempt to control almost every aspect of public life in Canada, do not monkey with the chair of the CRTC." In a letter to his staff circulated on Tuesday, von Finckenstein outlined his own priorities for the remaining months of his term. They include making final a decision on usage-based billing and holding a public hearing to develop a framework for the French-language television market. "Although this is an ambitious list, we work in a rapidly changing environment that requires our constant attention," he wrote. "It is important for Canadian consumers and businesses that we continue to step up to the plate and fulfil our mandate as best we can." The CRTC issued a landmark decision this month when it gave Bell, Rogers, Shaw and Quebecor, which also own broadcast assets, until April 1 to come up with a plan to give consumers more flexibility when it comes to picking their television channels. "I'm pleased that we were able to establish a policy that will serve both consumers and the broadcasting system in the years to come," von Finckenstein wrote.